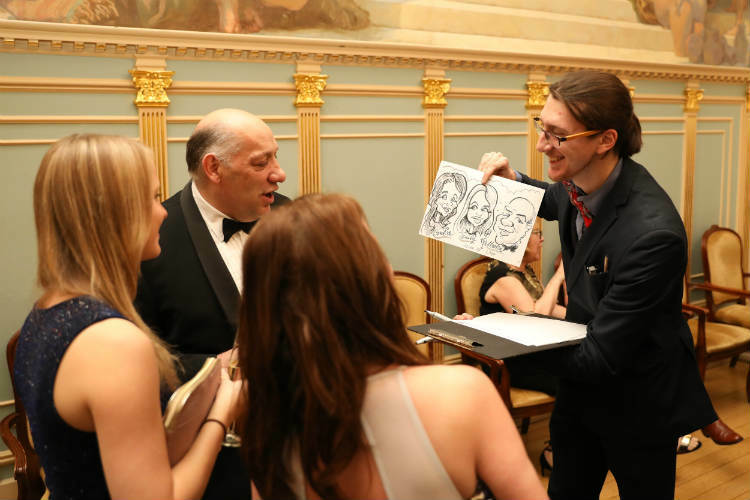 Frank is a talented full-time professional caricature artist based in London and travels UK wide since 2014. 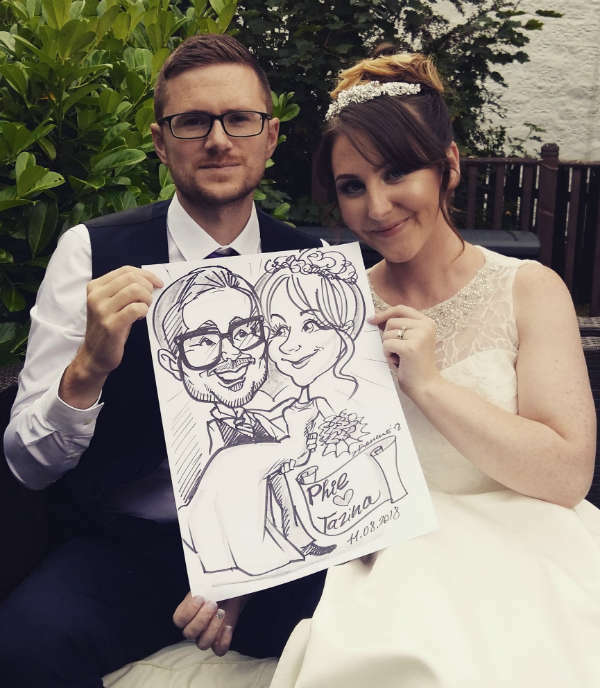 His quick but detailed caricatures have been enjoyed at many Weddings, Corporate events, Birthday parties, Anniversaries, Balls, Open days, Trade shows, Sports Events, Exhibitions, Promotions, Engagement, Charity events & much more. Previous clients include HSBC UK, Unilever, Chiswick Business Park, Gett, Skoda, and many others. Frank’s top-notch caricatures have brought a unique entertainment factor to the party which is talked about by their guests for weeks after! Frank is mastering both traditional pen and paper caricatures as well as the latest trend of iPad digital caricatures. Frank likes to use an easel and A3 papers to fit more faces on a single paper. To set up his position at the party, he ideally needs a corner with good light and not too much noise. From his easel, he can sketch up to 4 persons on the same paper. 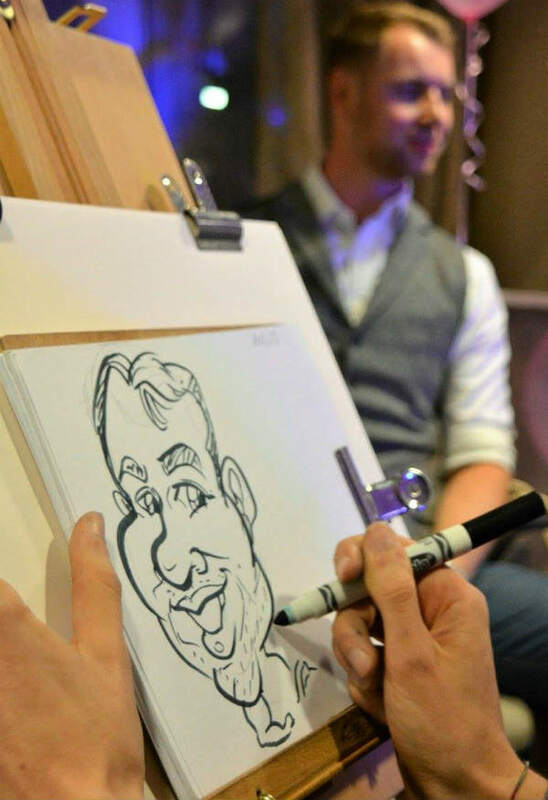 Usually, your guests take turns to sit in front of the easel for a caricature, but if you prefer Frank will go around the room sketching caricatures on the spot and mingle with your guests. Frank can prepare in advance Special Template Papers to fit your event! On the spot, Frank will then draw the faces of your guests creating amazing unique caricatures on the pre – printed template on fine quality paper. The template can include only the Logo of your company or a more elaborate drawing matching the theme of the event. A popular theme for kids is Princess and Superhero. Other themes include Frozen, Alice in Wonderland, Halloween and many more. Theme ideas for adults are Texan, Moulin Rouge, Star Wars, Sports, etc. Every request of Custom themes can be arranged and discussed with the Artist. Frank can realize for you a customized caricature board based on photos sent by the host of the event at least 2 weeks before the Event day. The A3 size caricature comes with a framed A1 foamboard, which will be displayed on an elegant easel and will be signed by your guest. This addition will make your event unique and memorable! See an example in the Profile Photo Gallery. Frank’s Digital caricatures are drawn on a latest generation iPad, using a digital Apple pencil. We screen mirror the iPad monitor onto a 24″ screen that we provide. This allows maximum visibility for your event. 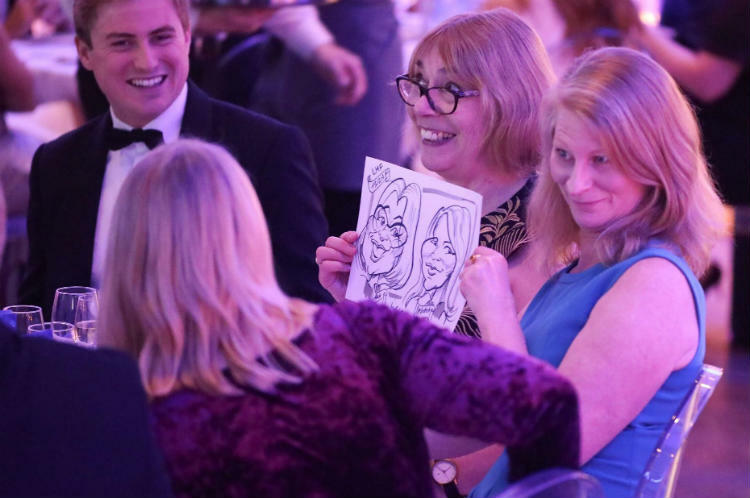 We make the caricatures available to download the next day, so that you attendees can email them around, or use them for their social media avatars. Frank also provides a free headed template with the date of the event + company logos/personalised message which is perfect for corporate events as well as private functions. If you are looking for a big “wow” factor and want to give your guests something most of them haven’t seen before, Frank’s digital caricatures would be ideal for you. Digital caricatures always get a great reaction and it will be a novelty your guests will talk about for a long time. If you are planning a dress up theme, whether that is Alice in wonderland, super heroes, and many more themes Frank can create customized stunning pre-drawn templates to match any theme. 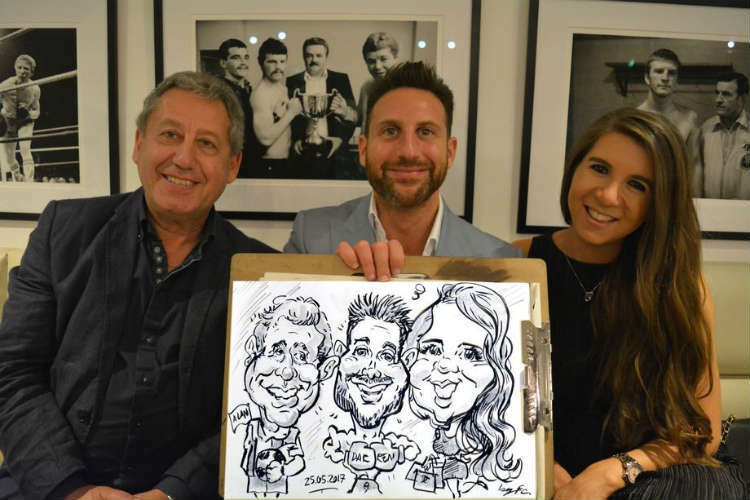 Frank can also create personalised caricatures gifts from your photos. 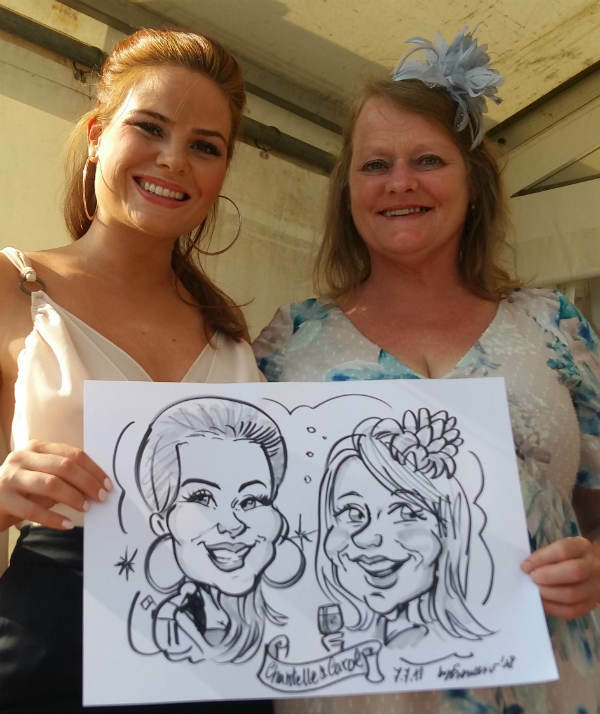 ★ Gorgeous personalized Caricature drawn in Pen and Ink in only 5 minutes! ★ An everlasting original memento for every party and trade show. 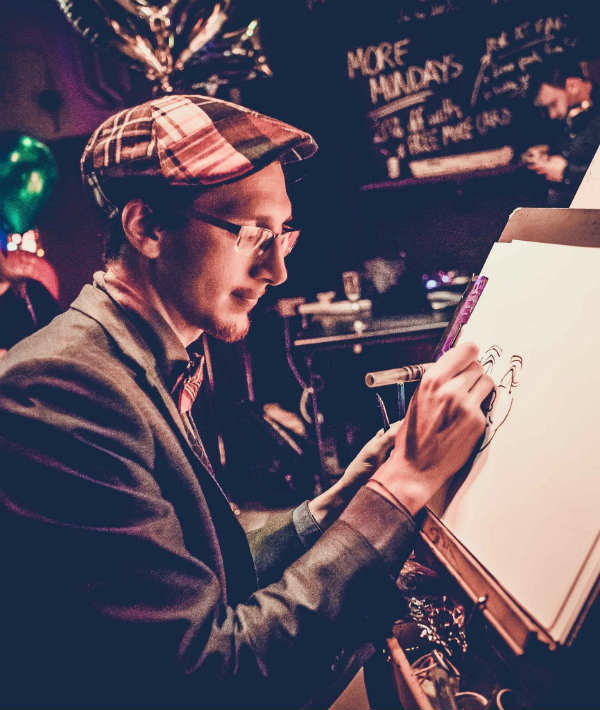 ★ Frank can ‘Mix and Mingle’ or work from an Easel to suit your event.